Eleanor Farjeon (1881 – 1965) was a British poetess, author, playwright who liked to make history interesting for children. She is mostly known for her hymn ‘Morning has Broken (1931) which was written to the tune of an old Gaelic refrain. I read some of her writings when I was a child (The Little Bookroom) and among her poems, this one has always haunted me. What I like about this particular poem is that she seems to really understand the childs fears about night-time and the wild imaginings and terrors that can occur: the odd shapes of bedroom furniture that are transformed into all kinds of terrifying beings! (maybe it’s just me? :0). She then couples the restlessness (which is when the child really starts imagining) with the soothing comforting queen in the blue velvet gown (compare this with the torn worn hood of the thieving gypsy). And holes in her hovel in a dank rank wood. When the wind rides high. When the moon rides high. Video by poetryanimations Thanks! and there is an interesting article about this author just under the video by Jim Clark that is well worth reading! Whilst we’re on the subject of poetry, opoetoo has just made a comment about my post which shows some Van Gogh images morphing into each other.……………………………………..this gave me an idea for a challenge! 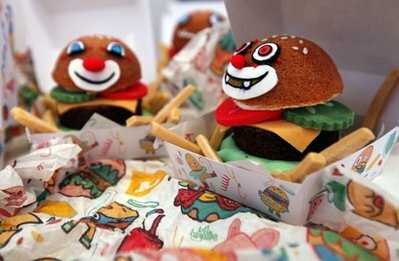 Are you up for it? Write a poem about what you think Van Gogh might be saying through the painting, or what message you think he is trying to convey. Put it on your site and link to mine and I’ll make a page putting all the poems dedicated to this on my blog with a link to yours. Make as profound or just plain daft as you like!! 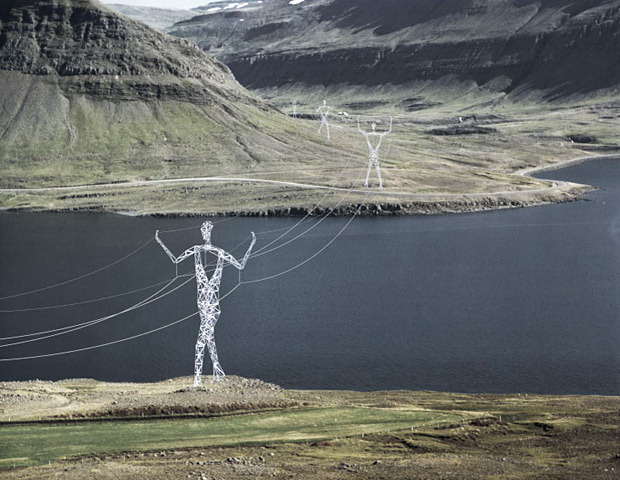 I do like seeing figures in the landscape – these monuments. 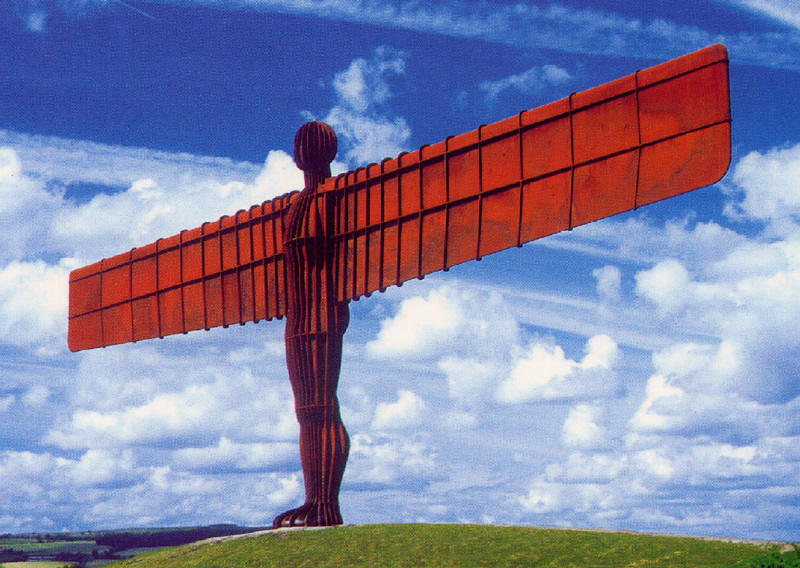 When Antony Gormley built his Angel of the North there was outcry at first. But that statue has become part of the landscape and is a welcoming sight to travellers. The material the artist used has aged and giving the statue a lovely patina. But what about the millions of pylons which there are no outcry about – though they are in every green space? Electricity pylons are everywhere – standing in our landscape, we don’t even notice them half the time. They are not aesthetically pleasing to the eye – but we tolerate them or just pretend that they’re not there. 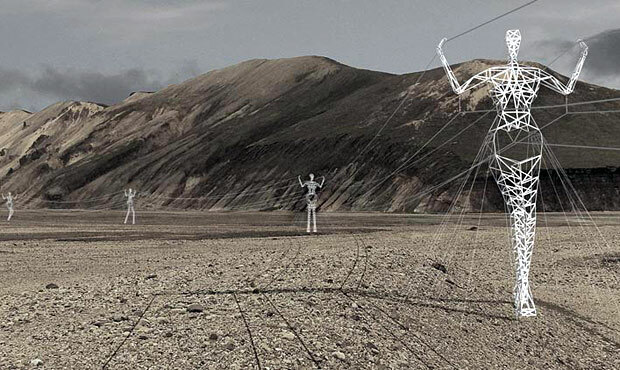 Architects Choi+Shine who are based in Massachuset have invented these figurative pylons whose gestures will correspond with the environment. For example, a figure on a hill shall be made ‘climbing’ the hill etc. I love the idea of these figures becoming part of the environment and was quite excited about the idea – until I came to the end of the article. It has been decided by Landsnet (the company who own the pylons) to NOT to go ahead with the project after all. What a shame! Who else would have liked to see these figures? Oh well, we will just have to keep pretending the pylons aren’t there…. 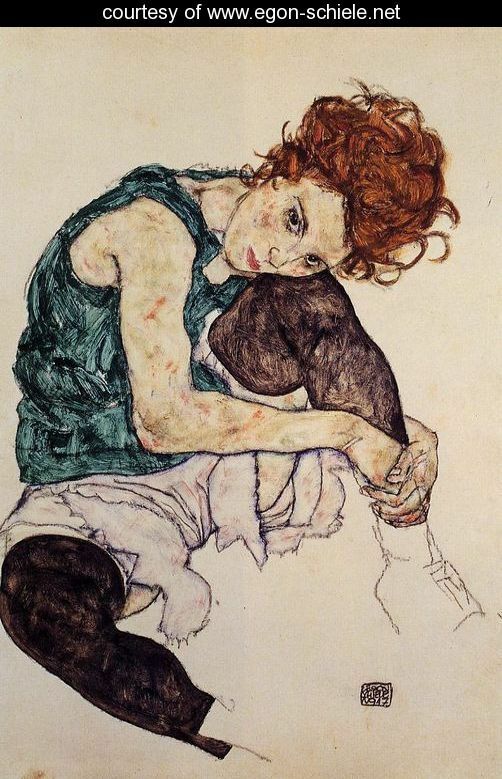 Austrian expressionist artist Egon Schiele b.1890 Tuln Austria was the first artist I researched when I was at University. Doing lots of Life drawing and looking round to see which sort of art influenced me his work soon caught my eye. Like many art students I bought the series of Taschen art books that were and still are available. I still have these books, they are excellent resources – and I have nearly all of them! The books are so informative, the illustrations so clear and colourful, and very reasonably priced. I have meant to write about this artist for quite a while. 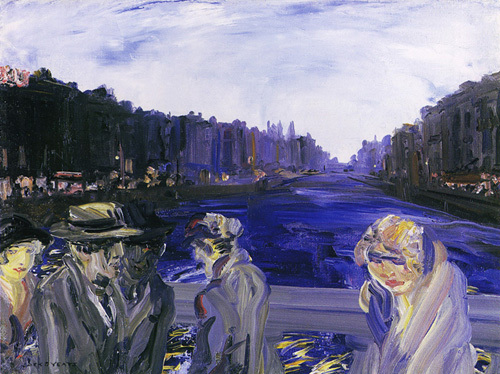 One of his paintings, stolen by the Nazis and in the centre of a 12 year dispute was reported in this article today. It makes interesting reading. 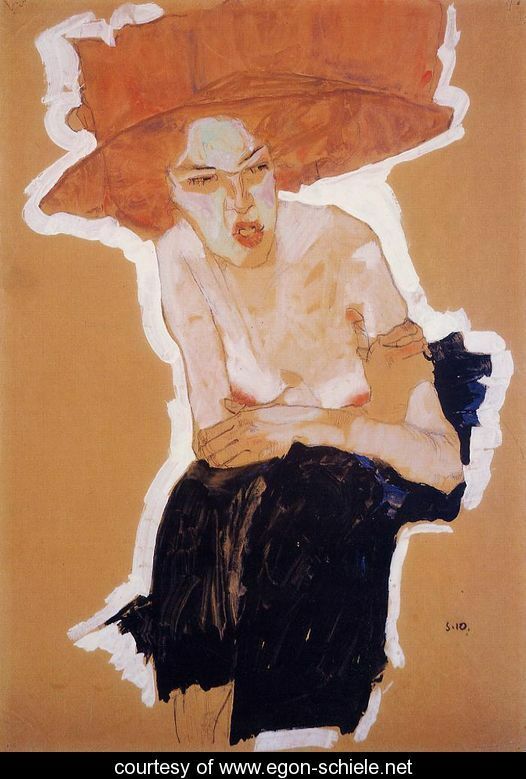 As a child Schiele was not academically inclined but his uncle, who became his guardian recognised his talent for art and sent him to the Vienna Academy of Fine arts when he was 16. He became a good friend of Gustave Klimt whose work influenced and inspired him. 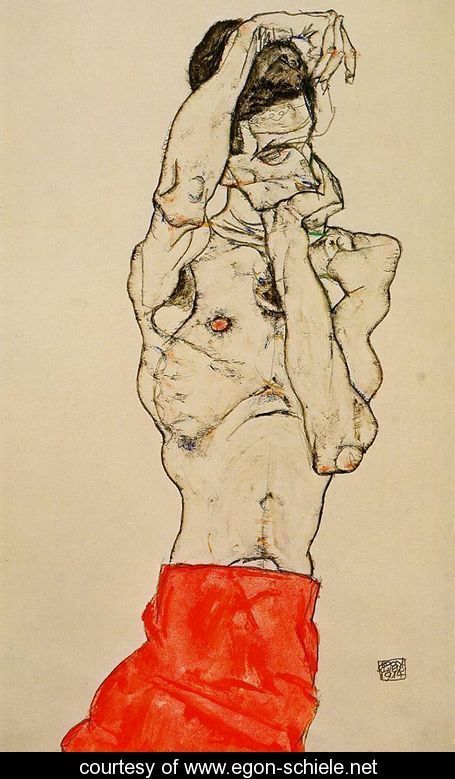 Schiele explored sexuality through the human form, using expressionistic body shapes in twisting and contorted positions. When Shciele moved to Neulengbach he was arrested and jailed briefly for seducing an underage girl. The artist seems to have courted controversy throughout his life style through his art his lifestyle and his choice of young models. He did serve in World War 1 and was well respected as an artist, though he never saw any fighting. He continued his career after the war and exhibited 50 works for the 49th Secession exhibition in Vienna 1917. He died of the Spanish epidemic in 1918, he was only 28 years old. I often wonder what sort of art he would have produced if he had lived longer. He was a prolific worker and has left us a legacy of his fine work. A long time ago I came across camouflage artist Emma Hack whose work I found innovative and impressive (see my post ‘Discovered and Recovered). Another post featured camouflage artist Lui Bolin. This artist played with the idea of invisibility to make political statements here . 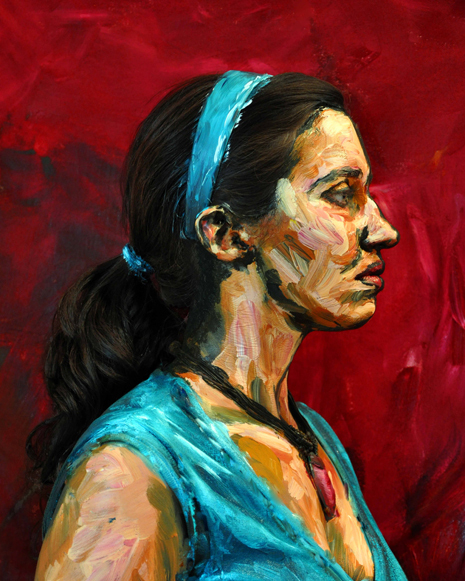 Alexa Meade is different type of artist though – one whose art that I have yet to come across. 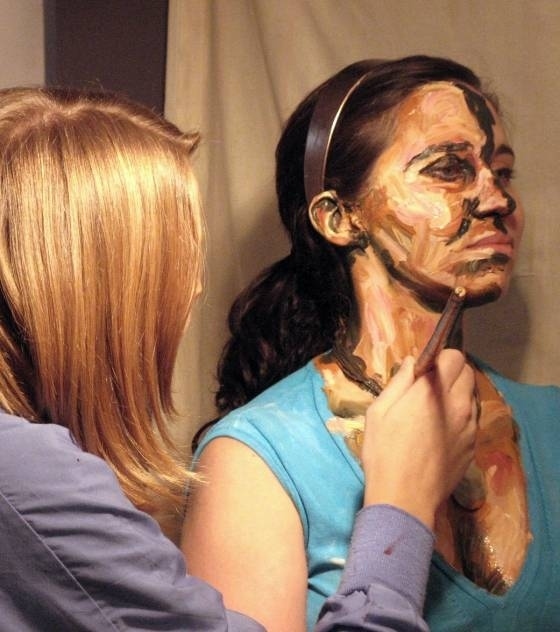 She likes to paint people to look like paintings – the results, I think are pretty impressive! Sometimes the ‘painting’ will sit in front of a painting. It’s hard to see where the person starts and the painting ends. 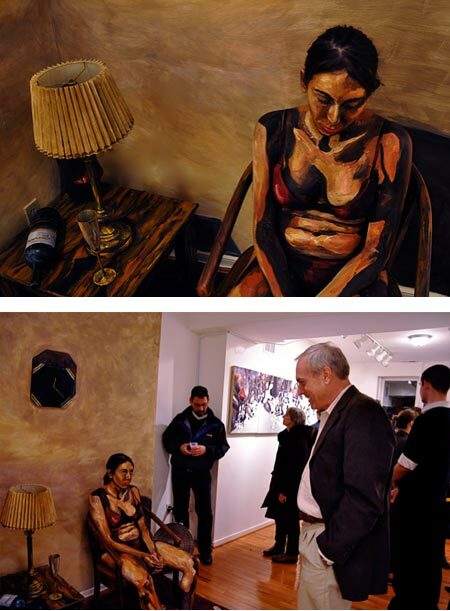 The model becomes a living trompe l’oeil (realistic imagery to create an optic illusion). 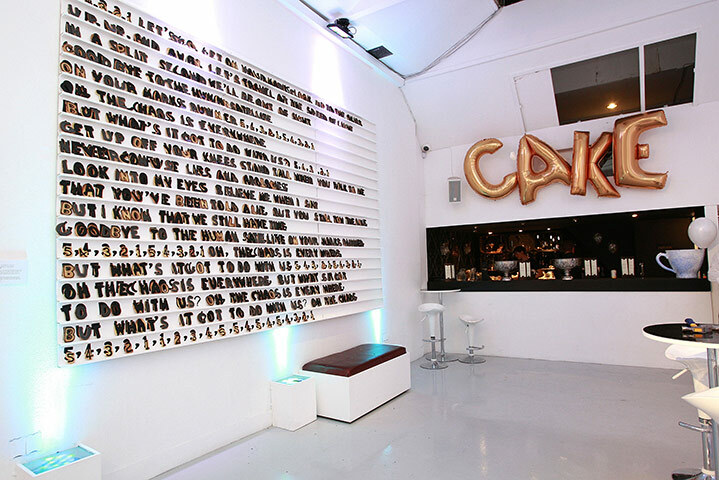 The work is multi layered, a mixture of painting, video performance and installation and the results spectacular. I especially like the ones in the gallery setting. The model is given a new ‘skin’ to wear which she or he can inhabit for a few hours – here today and gone tomorrow. This plays with our sense of permanence and impermanence and also, I suppose it leads us to question our own mortality and our place on life’s canvas – when we are ourselves the canvas on which life is written on. 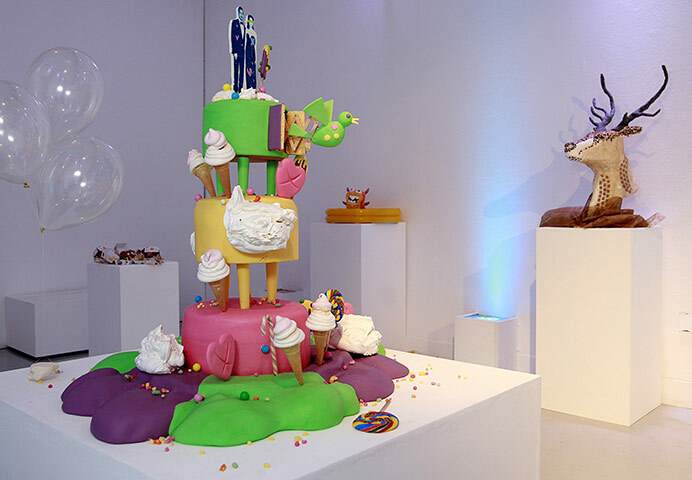 There are a lot of questions to be asked and addressed – which I think makes for very interesting art which is both visually stunning and mentally challenging. Which artist hasn’t tried to do a self-portrait? I know I have – many times and I never could get it right! Mind, you though, neither could anyone else. I have an odd face – with no really distinguishing features: nothing that stands out. The master of the self-portrait was Rembrandt van Rijn, he painted his every year. But Vincent Van Gogh also painted a lot of self portraits in his life time too. His portraits are mirror images of how his face appeared reflected in his mirror. This video is a wonderful chronicle of his self portraits, and there are also lots of them here. I don’t have a particular favorite – but I do like the ones where he is wearing the straw hat and the ones where you can see lots of brushstrokes (in other words – most of them:)) Which ones do you like the most and why? 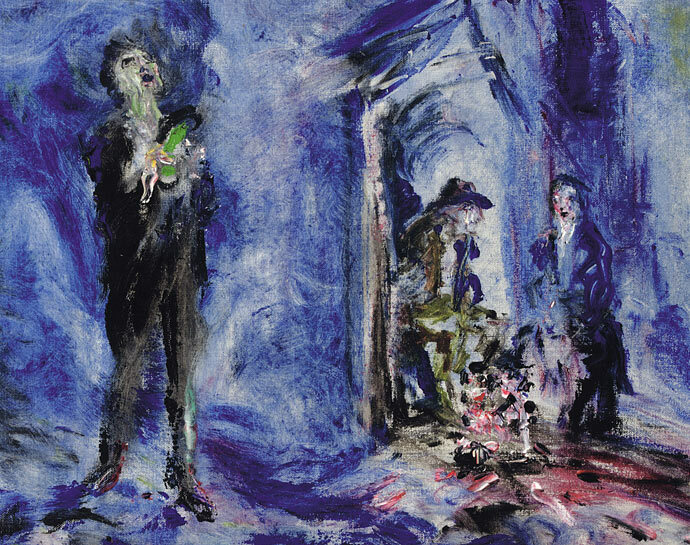 John (or ‘Jack’ Butler Yeats b. 1861 – 1957, London was the brother of the famous Irish poet William Butler Yeats. 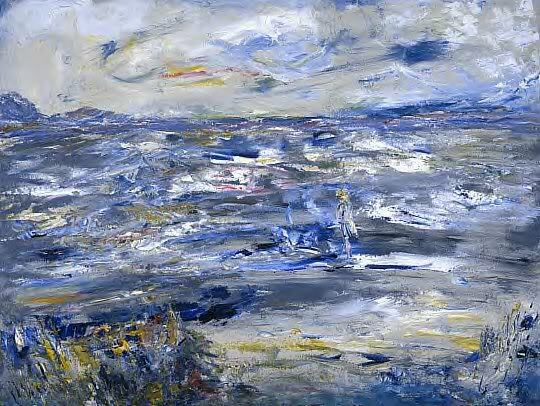 His romantic expressionistic art explored the Irish way of life, horse racing and Celtic myth. He started his artistic career at 17 and over his lifetime he produced over a thousand works. His early work was realistic but after 1920s onwards his work became more expressive and went from the more graphic to the use of thickly applied impasto, which seems to have become a trademark of his. Yeats’s use of this medium, thickly applied does not translate to screen very well, though it does give you a slight hint of the lyrical way he applies oil. In my opinion the paintings are better seen in a gallery setting.